Locally owned since 1995, Genghis Khan is Kansas City’s original (and best) Mongolian Grill. In addition to the all-you-can-eat Mongolian BBQ, we also offer some of Kansas City’s best authentic Chinese cuisine, including clay-pot simmered favorites and innovative new creations from our chef. 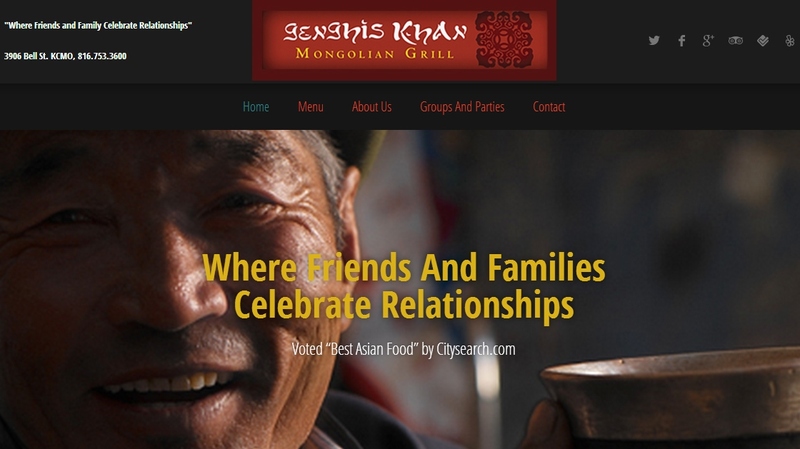 Genghis Khan is located in a 100-year-old building in Kansas City’s historic Midtown area. We offer a full-service bar featuring international and domestic beers, award-winning wines, and hand-crafted cocktails. Studio 7 was hired to build a brand new, mobile friendly site. Within 2 weeks the site was #1 in search engine listings for 3 different organic search terms. Business and sales increased immediately after the launch of their new site.